The kitchen is a favorite space for any family. Your client will love cooking meals and making memories in a gorgeous remodeled kitchen. 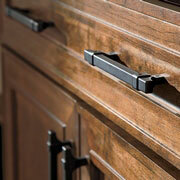 For trade pros looking to offer their clients a striking and useful new kitchen, visit ProSource® of Evansville. Our kitchen design specialists can help you find the remodeling products and materials you need to sculpt your client’s kitchen into a comfortable and inviting space. 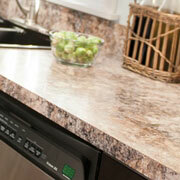 There’s no question that kitchens are busy places and cluttered countertops only serve to inconvenience your client. Improve the aesthetics and the function of your client’s kitchen with a brand new set of kitchen cabinets made from premium materials. 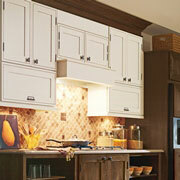 The kitchen cabinets are like a blank slate, ready to take on the features and elements of your client’s kitchen. Add a sophisticated, but affordable, touch to any cabinet face with stylish new knobs, handles, and pulls from our showroom in Evansville. Granite and marble countertops provide beautiful natural colors to any kitchen and are as practical as they are stunning. Work with our kitchen design team and find countertop options for your existing countertop spaces or ask about putting in a new kitchen island. A kitchen should dutifully serve the needs of your client and the kitchen’s appearance. At ProSource, trade pros will find a fine selection of kitchen sinks made from materials like stainless steel and marble. 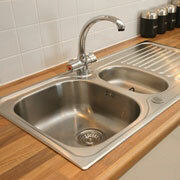 Mount your new sink above, below, or within the countertop for a seamless look. 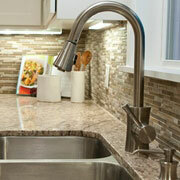 A kitchen faucet can really accent the appearance of your client’s new kitchen sink. Available in a huge palette of colors, finishes, materials, and designs, trade pros can find any number of faucets that are sure to delight their clients every time they use them.